The other day I was feeling a bit overwhelmed and tired of the cold weather. 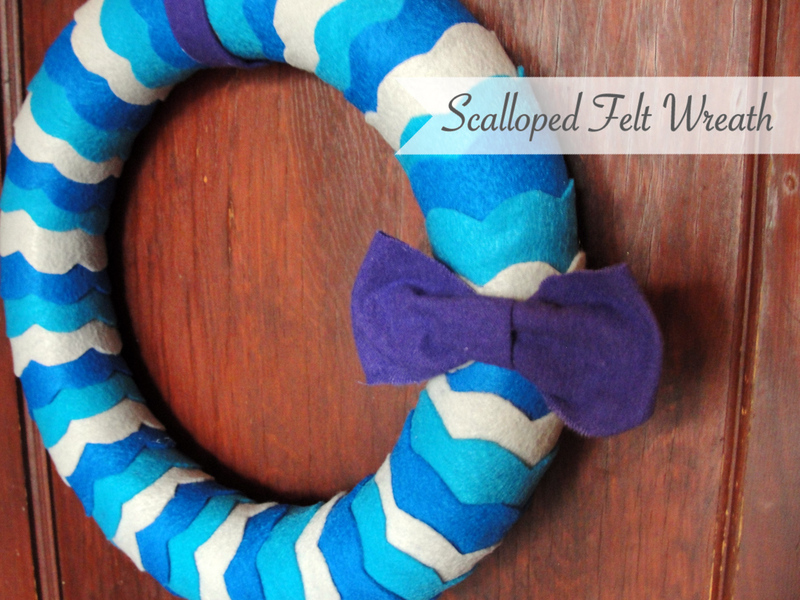 I was near a Joann’s fabrics, so I decided to pick up supplies to make a cheery scalloped felt wreath. 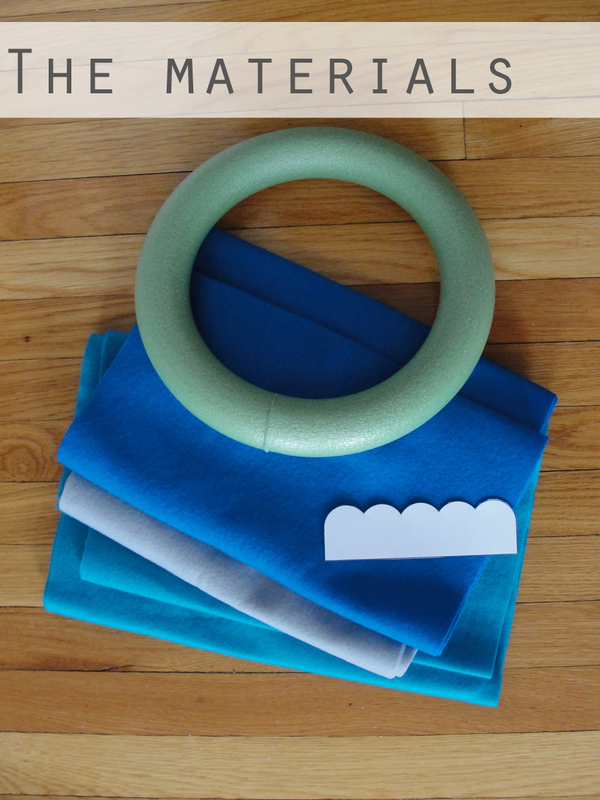 I purchased 3 different types of felt—a blue, a teal, and a light gray. I got a foot of each, but since the felt is usually so long, you really could get away with much less. I also got a 12-inch diameter foam wreath, found in the floral section. I didn’t want to spend the money on it, but couldn’t think of a suitable alternative to make at home. For the record, this size foam wreath was $5 at Joann’s and $6 at Michaels. I made up a template for the scallop pattern that I wanted. You can download the template here. For my wreath and template, I needed just about 15 cut outs of each color. 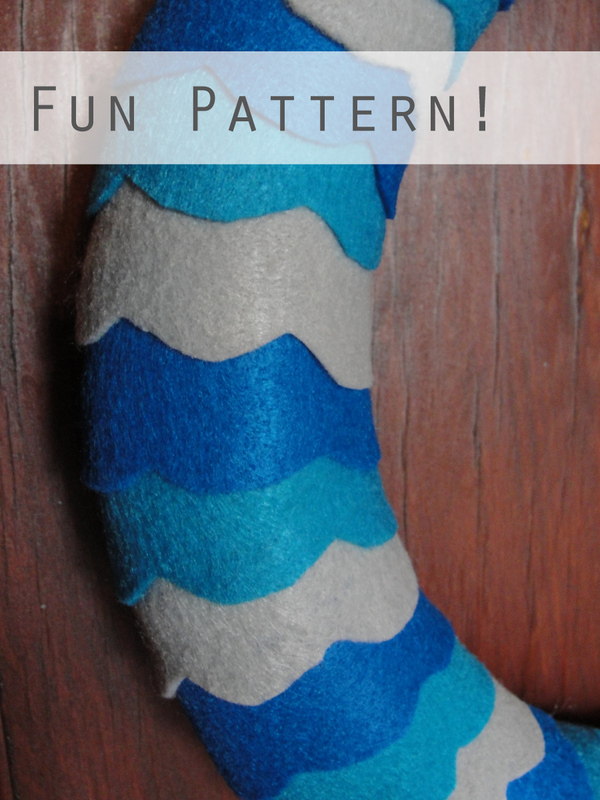 If you trace out the pattern, you can put the flat sides back-to-back to save felt. I cut through two layers at once to save time. I used hot glue to adhere the felt to the wreath. Don’t use too much, or it will show through! 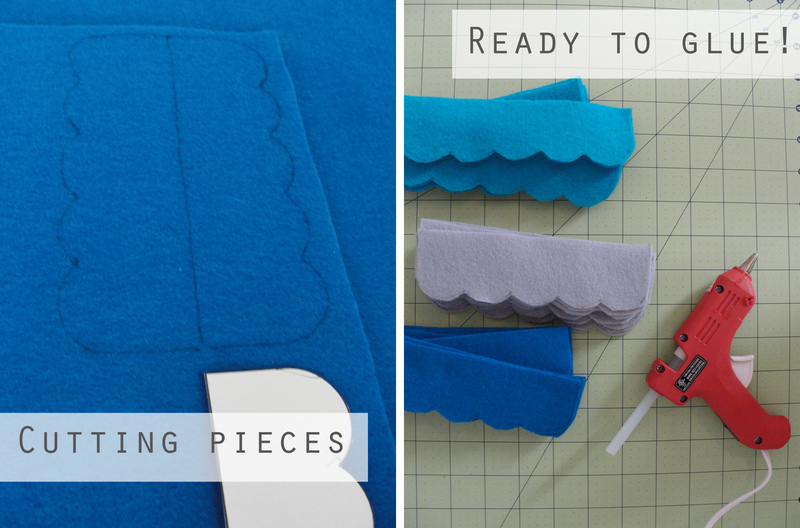 Work your way around, stacking the scalloped sides and gluing the edges on the back. 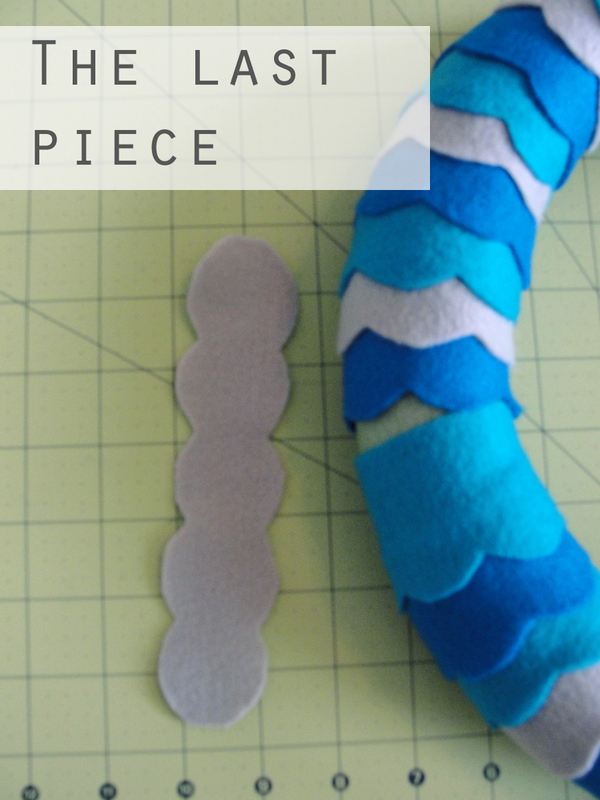 On the last piece, I cut the wavy shape on both sides of the felt. 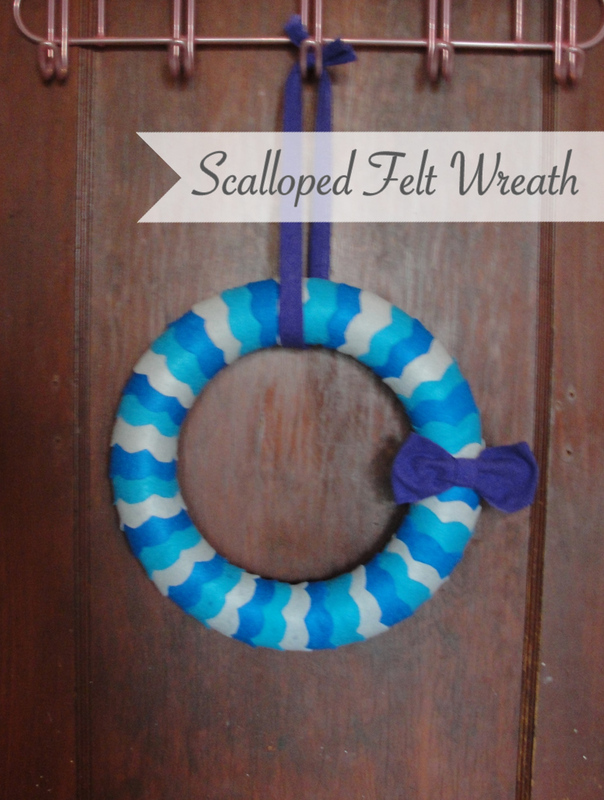 After I was finished with the wreath, I made a simple purple fabric bow and attached to one side. I absolutely love how this project turned out. It took about 2 hours, and is a happy addition to my apartment. I love this! Very cute idea!